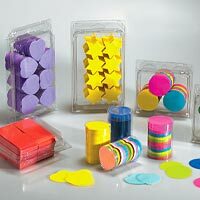 Confetti are colourfast and also biodegradable. 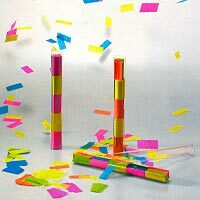 rectangular flameproof tissue paper confetti. 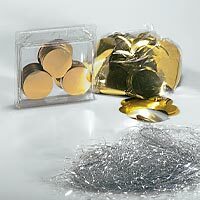 flameproof metallic confetti and fibres. 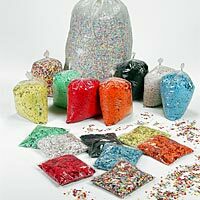 We have 25 tints in non flameproof tissue paper confetti and 18 tints in flameproof tissue paper confetti. If you need other tints, we can make yours.